These are just a few ideas, concerns, etc. that are typical among blended families. Those ideas and others make blended families one of the main classifications of people with an urgent need for planning. 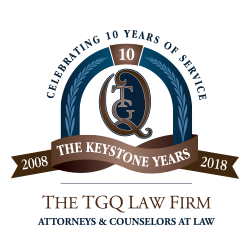 The good news is that at TGQ Law Firm we have simple solutions that can accommodate and satisfy these will or trust needs desires. During this 60-minute (one hour) in-person meeting we will review your situation, listen to your interests, and identify a satisfactory plan of action. We look forward to meeting you!